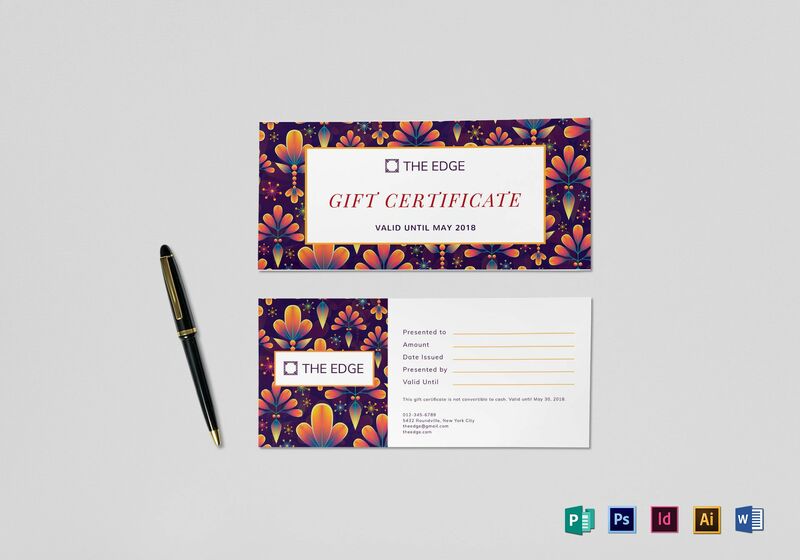 For simple rewards and peace of mind, download this eye-catching and fully customizable Gift Certificate Template. 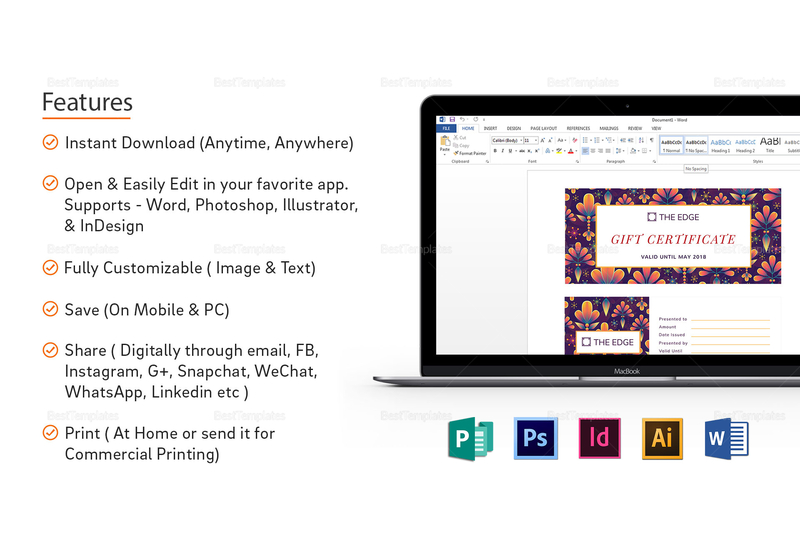 Open and edit this template in your favorite app that supports Illustrator, InDesign, MS Word, Photoshop, and Publisher file formats. You can even share this elegant template on Facebook, Twitter, Instagram and other social media apps.